Earth Science Teachers’ Association – the aim of the association is to encourage and support the teaching of Earth Sciences whether as a single subject such as geology or as part of science or geography courses. ESTA also sells reference sets of rock samples for teaching. www.Gabbrosoft.org. Spreadsheets can be downloaded and used to recalculate mineral stoichiometry based on electron microprobe analysis. 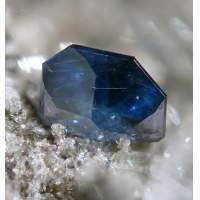 Mineralogy Database – David Barthelmy ‘s database contains more than 5,000 web pages of mineral data. There are 4,205 individual mineral species descriptions with links.